Do you already shoot video with a Canon 5D Mark II? If so you have a kit full of lenses and accessories that will work perfectly with the new Mark III. And you’ll be pleased with the improvements for video capture like having a headphone jack so you can monitor audio. You’re sure to love being able to shoot clips longer than 12 minutes as the Mark III will automatically create a new 4GB file when you fill up the one you’re shooting. It will only do this for three 4GB segments but that means you’ll get up to 30 minutes of video in one continuous clip. In some circumstances this can make the difference between choosing a DSLR or a regular video camera. 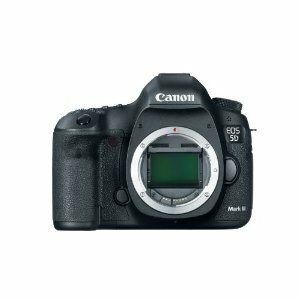 Add in the ability to handle time code, shoot 60fps in 720p video, and a few other video goodies and the Canon 5D Mark III will prove to be a worthy investment for a Mark II shooter. Do you mainly shoot stills with some video every now and then? This camera promises to create extraordinary still images under a wide range of situations. The Mark II is the camera of choice for many professionals and the Mark III is the logical replacement for shooters needing top of the line performance. The extra 2 stops of low light capability alone may make the camera a good decision, especially if you shoot time lapse at night. When you need to shoot video you’ll find the Mark III will create superior results. You’ll need to look at your post-production work flow as video editing takes a different hardware and software tool set than photo work. But that will be true no matter which DSLR you shoot with. For a still photographer looking to add video to their services this camera will be more than up to the task. Do you love the look of a full sensor camera for video? The difference in how video looks from a DSLR compared to a normal video camcorder is stunning. And, for some people, video shot on a full sensor camera is the look they want. Compared to a crop sensor camera like the Canon T3i or 7D, the full sensor in the Canon 5D Mark III will offer a more shallow DOF using the same lens, light and f-stop settings. Lenses will have a wider field of view on the full sensor as well. If you’ve worked with both full and crop sensor cameras and know you want the look of a full sensor for your video the Mark III is likely a good choice for you. Is this the perfect DSLR video camera? Far from it. It’s an improvement over previous Canon DSLR’s but it holds to their design philosophy of making great still cameras that will also shoot video. If you need XLR mic inputs with live metering and level adjustments, if you need time-code in and out, if you need to feed a video monitor system or a field video recorder, or if you need to shoot longer than 30 minutes in a continuous clip then this is not the camera for you. The C300 is designed for professional video and film production and there’s no better way to see what Vincent means than watching Mobius, the movie he shot with the C300 to introduce the camera to the world. It’s not a “one size fits all” world. For some people the Canon EOS 5D Mark III will be the perfect camera and will inspire them to create new and incredible work. Others may find better results in another tool. Hopefully this post will help you know which camp you belong in. One thing is for sure – this camera and the newest offerings from Nikon mean I’ll be revising the DSLR Video Buyer’s Guide! Here is a little video we just did showing the 7D fighting against the C300! Feel free to use it in your blog and share it ! Previous post: DSLR Video Buyer’s Guide Updated, now on Kindle!